Is it that time of the year when you want to get a sun-kissed glow? Well, you can either choose to tan naturally by basking in the sun or use other methods to accelerate the change of pigmentation. With so many tanning options available so does there exist many products to boost or help in tanning. If you tan using UV beds, then you may have come across tanning bed lotions with bronzers. The same applies to those who opt for sunless tanning methods. In this tutorial, I will cover how do bronzers work, with an inclination to bronzers in tanning lotions. For these type of bronzers, the DHA is their main component. The DHA is an ingredient used in tanning and comes from sugar cane in the form of amino acids. It works by exposure of the DHA component to the proteins of your skin. You will start to notice the results of using these bronzers after a few hours, from 2 to 3 hours. When exposed to the air, the DHA oxidizes and develops your acquired color. 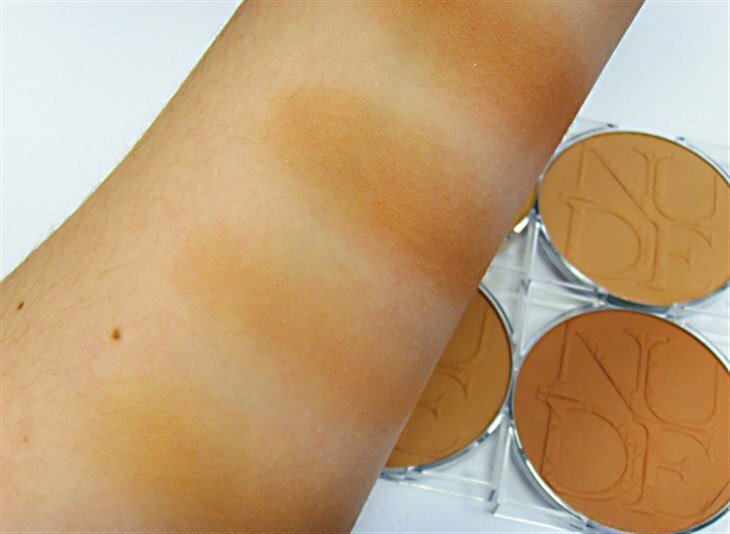 As you go shopping for a bronzer, you will notice that DHA bronzers are colorless, that is, they have no shade of color. Well, the color that you will develop will be realized when the bronzer gets exposed to the proteins of your skin, and a reaction occurs. Your next question to ask may be, which color will you develop with a particular DHA bronzer? The intensity of the brown color that you will develop will depend on the characteristics of your skin and the amount of DHA concentrations in your bronzer. The Food and Drug Administration (FDA) has approved it; as an efficient manner, to achieve a darker skin tone and one that is also safe. 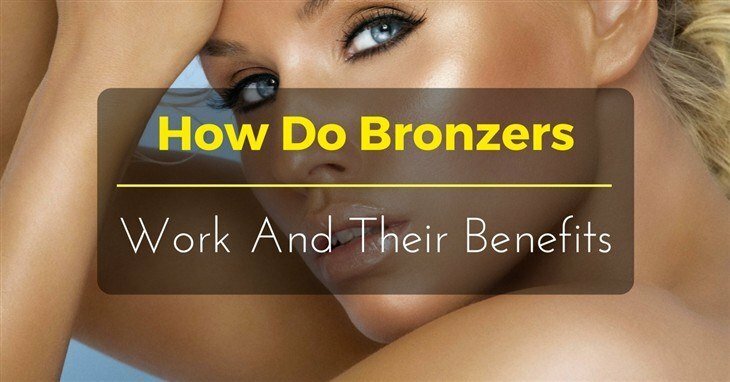 What Are The Benefits Of Bronzers? 1. You will achieve a darker pigmentation much faster than if you waited for the tan to build entirely. How quickly you reach your desired glow of color depends on the type of bronzer used. For immediate results, a natural bronzer will do. If you want the color to develop after a short time, then a DHA bronzer is ideal for you. The color of a DHA bronzer will develop after 2 to three hours. 2. It offers you the chance to minimize the time need to expose yourself to the Ultraviolet radiation. Reduced amount of exposure time, means a reduced risk of skin cancer. You cannot argue with that, can you? 3. It gives you a boost of color as your tan develops. You will, therefore, be able to go out in a swimsuit or flaunt your bronzed glow without having to wait a long time to achieve a certain shade. 4. You can use your bronzer to maintain a healthy looking bronzed color in between your tanning sessions. Whatever your choice of bronzer to use, you will not have to wait a whole day before seeing any changes in color. For DHA bronzers you will wait for the oxidation of this active ingredient to occur before you realize a darker shade. How Long Will My Bronzed Color Last? Since bronzers only give you a “temporary color,” you may wonder how long it may last. If it contains a temporary tint, you can wash it away with soap and water. However, a product comprising DHA ingredient may last 3- 4 days. The DHA is a self-tanning ingredient. It oxidizes and reacts with the proteins in your skin to give you a darker appearance. On the other hand, the skin renews itself regularly. As it renews itself, it sloughs off the dead upper skin cells, which have reacted with the DHA component, and thus your acquired color begins to fade. All bronzers work on the top surface of the skin and thus fade as your skin exfoliates itself naturally. The use of bronzers is good for people who want to achieve a darker color faster, even those with fair skin. If you do not want to end up with orange palms after applying your tanning lotion, remember to wash or wipe your hands immediately after the application process. Which Bronzer Is Best For Use? You may be having difficulty in choosing whether to use a natural bronzer or a DHA one. If you are, then, your decision should be based on how fast you want to acquire a darker pigmentation and your needs individual needs. Using a natural bronzer will give an instant gratification in boosting your color. As for the DHA bronzers, you will need to wait a few hours to let the ingredient oxidize. You also, shouldn’t shower within the waiting period, for 2-3 hours. Showering will interrupt the bronzing process. Give the bronzer ample time to develop the dark color, then, you can hop into the shower. If your bronzing product has an intense concentration of DHA, use circular motions during application to minimize streaking. A bronzer will stay on the skin for up to eight hours, and continue to penetrate your skin and darken its color. Due to this, you will need to wear dark colored clothing; otherwise, it will stain your fabric. Bronzers affect the upper layer of the skin. Depending on the type of bronzer that you are using, whether natural or DHA, you may either see an instant boost of color or wait a few hours for the color to develop. Natural bronzers give you immediate results whereas, DHA bronzers, develop with time. Some of the known benefits of using bronzers include giving you a boost in pigmentation as you tan develops gradually. It also helps you maintain the same shade between your tanning sessions. Not to forget, that by getting the desired color faster, you will be able to minimize your time of exposure to the harmful UV radiation. Remember, not to interfere with the development of the bronzed color. If you are using a DHA product, let it develop as you wait for 2-3 hours before stepping into the shower. Also, put on clothes with dark colors so as not to stain the bright ones. For the bronzer application process, use circular motions to even out the color and minimize streaking. Do not over apply the bronzer, if you want an even outcome. Finally, use sunscreen to protect you from the UV rays as you bask in the sun.